Market conditions are currently very favorable to buyers seeking Puyallup Washington Condos. There are a wide variety of condos for sale listed in the Puyallup real estate market at price levels that have not been seen in years! Our site, www.PiercePowerSearch.com has detailed information on hundreds of condos for sale in the Puyallup area. Buying a Puyallup condo is a very important decision. Everybody has a different set of features that they are looking for. With the PiercePowerSearch site, buyers can sort and view Puyallup condos by multiple criteria including square footage, price, amenities and even specific neighborhoods and views. Many people want to buy a condo in a specially designed community. 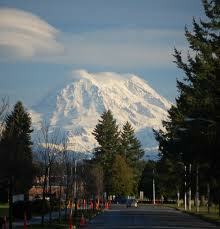 If security is an important consideration there are Puyallup condos in gated communities. If you’re interested in living on the riverfront or a creekside, Puyallup is a great place to seek condos for sale. Search the PiercePowerSearch engine and you can quickly narrow down the search for your new Puyallup condo. For most people, the proximity to work has a major influence on where they choose to live. They are mainly interested in Puyallup condos for sale that are close to their place of business. PiercePowerSearch has a great interactive map that covers the entire Puyallup real estate market. This allows buyers to search for Puyallup condos for sale near the workplace or along commuter routes. Anyone interested in buying a Puyallup condo will find our website to be a great resource. It allows buyers to search all listings in Puyallup using whatever features that interest them most. Users can specify price ranges or even a specific price. Buyers can make their search as general or as specific as they want. When ready to buy the site also has information on financing and Agents who are experts in the Puyallup real estate market. You will find www.PiercePowerSearch.com is a great place to start your search for Puyallup condos.